gross profit in their first year. achieve a ‘new’ kitchen for a fraction of the usual cost. Be your own boss – choose your hours and work wherever you want. Earn great money – some franchisees have made $400k gross profit in less than a year. Provide a great service – homeowners and investors love their Dream Doors kitchens, and provide excellent word-of-mouth business and referrals. everything easy – so you don’t need any previous experience to get up and running. Easy setup – get started quickly with a complete marketing launch package to maximise leads and exposure. Proven business model – invest confidently with our proven model and over 14 years of international success. If you’re a real go-getter with decent managerial, organisational and communication skills, Dream Doors is the perfect franchise opportunity. Make your dream a reality! 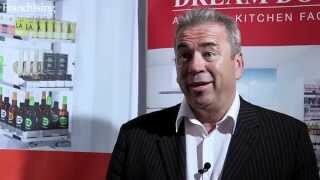 Dream Doors is seeking interest for metro and regional franchises all over Australia. Please visit our website for further information.